Cleveland State University (also known as Cleveland State or CSU) is a public university located in downtown Cleveland, Ohio, United States. It was established in 1964, and opened for classes in 1965 after acquiring the buildings, property, and students of Fenn College, a private school that had been in operation since 1923. 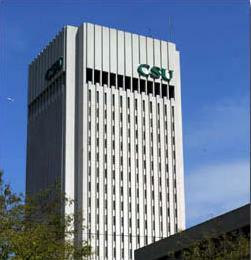 CSU absorbed the Cleveland-Marshall College of Law in 1969. Today it is part of the University System of Ohio, has more than 120,000 alumni, and offers over 200 academic programs. Its mission is to "encourage excellence, diversity, and engaged learning by providing a contemporary and accessible education in the arts, sciences, humanities and professions, and by conducting research, scholarship, and creative activity across these branches of knowledge." CSU's main campus in downtown Cleveland is bounded on the east and west by Interstate 90 and East 17th Street. As of spring 2013, the combined student body (undergraduate and graduate students) totaled over 17,000. When the school was still known as Fenn College, the sports teams' nickname was the Foxes. When the University was renamed Cleveland State, the nickname changed as well, and CSU's sports teams became the "Vikings". That nickname stands to this day. The school colors are forest green and white. For many years the school mascot was the comic strip character Hägar the Horrible along with his wife Helga, and the couple appeared at sporting events as well as on University literature. A new mascot, "Vike" was introduced in 1997 and Hagar was gradually phased out by 1998. 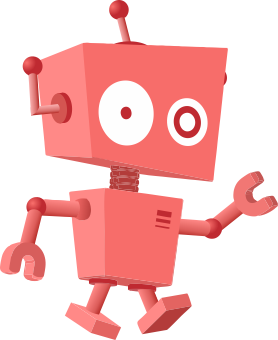 Another new mascot named "Magnus" was introduced in August 2007. Cleveland State fields varsity teams in seventeen sports. Rhodes Tower which is on the campus. Cleveland State University Facts for Kids. Kiddle Encyclopedia.